SUDEIKIN, Sergei Iurevich [Serge SUDEIKIN] (1882-1946) and Nicolai REMIZOV (1887-1975) (illustrators). 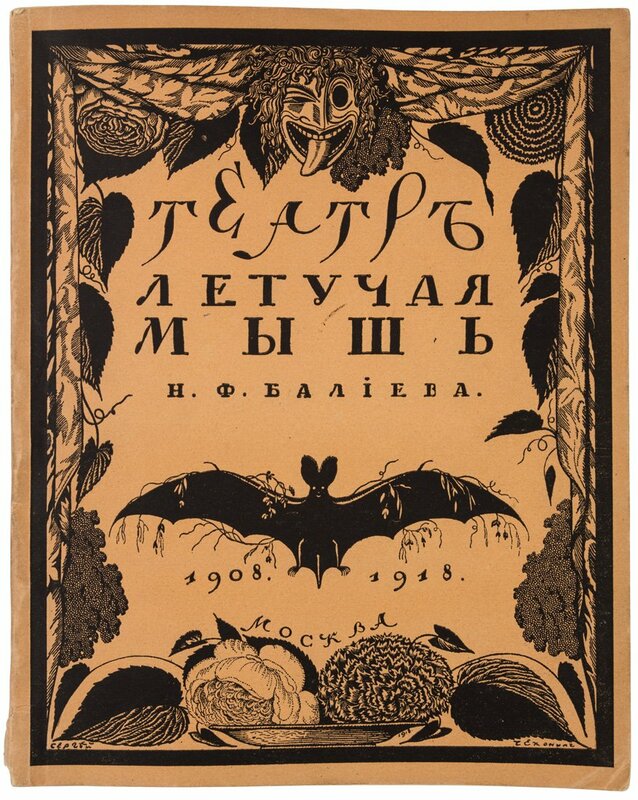 [Collection des Programmes du Théâtre de la Chauve-souris 1914-1927.] [Moscow-Paris-New-York]. Portfolio of 20 items (all issued), large 4to (317 x 248 mm). Illustrations, most colored, after Sudeikin, Remizov, Shukhaev and others. 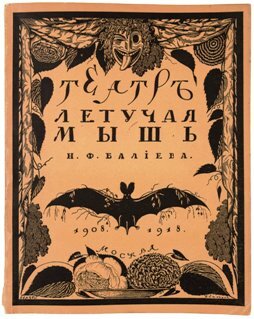 Also included is the book TEATR LETUCHAYA MYSH N. F. BALIEVA, 1918 TEATR LETUCHAJA MYSH [Theater The Bat], Petrograd: Solntse Rossii, 1918. From the famous company directed by Nikita Balieff.